Looking for a social media glossary and social media dictionary with explanations to social media terms? Social media has skyrocketed in popularity in just a couple of years. It has completely revolutionized our society and the way we interact with each other – from all parts of the world. Today, more than 3 billion people using social media, and this accounts for about 40 percent of the world’s population. Safe to say that we’re living in a social media revolution. But with the huge space of social media, which includes everything from apps, social media marketing, building brands, and much more, has a lot of new words, terms, and phrases been born. For people who are completely new to social media, hopping into it can be intimidating, because there’s so much to learn, especially with all the social media words. This is why we’ve compiled the world’s largest social media glossary with every single social media word and term, including a ton of words and phrases that are used in a social media context. The words in this social media glossary are both words related to general usage as well as terms related to social media marketing. Lastly, this social media glossary is updated regularly so you can stay on top of the latest trends and words in social media. If you are missing a word and want us to add it to this social media glossary, don’t hesitate to let us know in the comment section below! The abandonment rate is the percentage/number of people who abandon their shopping cart in a virtual store online. The abandonment rate is the ratio of the number of abandoned shopping carts to the number of initiated transactions. You can see how many of your shopping carts in your online store that was completed versus how many carts were abandoned. AI stands for Artificial intelligence and is something that is increasing in popularity, on social media as well. It is the simulation of human intelligence process by machines, in most cases computers. What AI does is it acquires information and learning thing, and also acquire human characteristics such as learn to reason, self-correction, and much more. It is expected that AI will take a larger part in our society within the coming years, and the main reason for that is that it saves time. Examples of AI is iPhone’s Siri and Alexa voice. There’s not a lot more than we humans value more than time, and when we can talk to robots and have them do things for us, it saves us time, rather than us having to pick up our phone and do something. The word algorithm means “a process or set of rules to be followed in calculations or other problem-solving operations, especially by a computer.”. In a social media context, the word algorithm is most often referred to the way the different social media platforms present content in your feed. Instagram, for instance, has an algorithm that is designed to identify the content that it believes you will find most appealing, interesting and relevant but taking into account your previous usage of the platform, and then it presents the content in your feed. The term app was first popularised and brought into the lexicon as a result of the iPhone. The term app stands for application, and it is a program which has a special function on your computer or smartphone. You might have a photo application which allows you to take photos, a note app which allows you to make notes, and so on. AMA stands for Ask Me Anything and is a term that can be used in most places, but most often, you see this term being used in social media. The term is often used by celebrities or influencers who want to interact with their audience and built their relationship with them. Addthis is a technology company which works with online bookmarking services, which are designed to help you integrate social media into your website, such as your social media feed or profile. Astroturfing is the term in the social media glossary which refers to a fake grassroots campaign which is created to give the impression of a real buzz or interest in a product or brand, or similar. An advertising network is a company which works with both advertising corporations an websites for ads. These networks help websites identify advertisers who want to share their ads online. Moreover, they also help advertisers publish their ads on relevant and suitable websites. Automation is a big word that can cover a lot of things, but in a social media context, automation refers to the use of robots, bots, computers, and technology to automate a process on social media. Automation is most often used to help brands generate better results on social media, whether it be to spam-follow, comment on people, or mass-send messages. In other words, the use of bots is a form of automation. Analytics in social media refers to the analyzation tools on social media which allows you to evaluate certain things, such as your followers, and the results you’ve generated. Attribution is a word which can be used in many different contexts, but on social media, it essentially means that you give attribution to the person who has created a piece of content if you have reposted it or shared it on social media. On various social media platforms, you can see people sharing a post saying “photo by @”, and that is called an attribution. The meaning of the word seems obvious, and the truth is that the word means exactly what you are used to it meaning, the only difference is that the archiving takes place on social media. Essentially, it means that you store and pace something that you’ve shared on social media somewhere. On Instagram, for example, there’s an archive feature, which allows you to archive posts you’ve shared, hiding them from the public. Audience selector refers to Facebook’s own tool by the name of Facebook audience selector. The audience selector allows you to choose a specific audience when sharing a post on Facebook, thus limiting your post’s exposure to only the people you select in the audience selector. Normally, you share posts with the setting “public”, which means everyone can see it, but you can also limit the people who see your post with this tool. Authenticity means exactly what you think it means, but in a social media context, it has been more and more discussed, and people have started agreeing on the importance of authenticity. The thing is, in order to build a strong social media presence, and establish a large loyal following, you need to be authentic on social media. This is especially important to social media influencers because influencers rely on having an engaged audience that looks up to them, and that is something that happens when you are authentic. On social media, people can see through inauthenticity in a heartbeat, and this is why those who are inauthentic are doomed to fail. An avatar is an icon or figure which represent a particular individual online, including social media. On social media platforms like Snpachat, you can design your very own avatar, called bitmoji, and on other places, you get an icon or figure which is meant to represent your account. This is a word in this social media glossary which many of you probably are here for. API, an abbreviation of “Application Programming Interface” allows users to get data directly to their website. In other words to embed data that isn’t “fixed”. API will constantly update the data as the original source changes. For example, Instagram’s API can, among much more, let you integrate an Instagram post on your website, and as the number of comments, likes, and other changes, the integrated post on your website will do too. API has also opened up for developers to build applications that are based on your social media account’s API, thus getting full information from your social account. Average handling time is a word in this social media glossary which refers to customer service on social media. Sometimes abbreviated to AHT, it is a metric which measures the time it takes for a brand to help a customer with their issue. This term is normally referring to the time it takes brands to help a customer who is calling them, however, it can also be applied to other ways you help a customer through customer service, and social media as well. Average response time is exactly what it sounds like, and refers to the time it takes for a brand to respond a customer with a customer service errand. More and more people are turning to brands on social media for customer service because that’s where they are spending a lot of their time, so it makes sense to reach out to brands on social media, as opposed to sitting in long phone lines or compose an email. Studies have found that customers expect brands to respond within an average of 2 hours on social media , but the reality was that brands respond within an average of 10 hours. Big data are humungous data sets which can be analyzed using computers in order to identify any patterns, associations, or trends.Big data is often used for identifying and understanding human behaviors and interactions, and social media is a great place to collect that data on. If you have used social media, you have probably heard people say this word a million times, but you might not know what it means. This is why, in this social media glossary, you have the answer. Bio is short for biography, and on social media, it refers to the space you have in your various social media profiles where you have an opportunity to describe yourself, add website links, add a profile picture, and more. I’ve already mentioned bitmoji in this social media glossary previously when talking about an avatar, and that is exactly what a bitmoji is an avatar. But a bitmoji is particularly designed for Snapchat and is an app you download to create an avatar that is supposed to look like you. Business pages are available on a number of social media platforms and is a feature which allows you to add more information to your profile, and thus make it easier for potential customers to contact, gain information, and interact with you. On Instagram, for example, converting your account to a business page allows you to add calls to actions on your profile, including an email button, a call-button, and a location button. A block is not a block of tile or any other physical object, but on social media, a block means that you restrict someone’s access to your profile and content. For instance, if I block you on Instagram, you won’t be able to see my profile, nor my content. A block is particularly helpful when hateful people, stalkers, crooks, or any other harmful people go to your social media and harm you and your safety. This is a designation for a company that is socially responsible and not only focuses on profits, but also think about things like the environment, employees, the society, and communities. A board refers to Pinterest board in social media glossary context, and a board is a collection of photos on a particular topic that you pin about. On Pinterest’s very own website, they describe the word “board” “Save Pins to boards to easily organize your ideas. The Pins you save “. Banner ads also called display ads (see display ads in this social media glossary) are ad placements on a host website which links back to the website of the advertiser. A brand advocate is a social media glossary word that is increasing in use on social media. A brand advocate is an individual who talks positively about your brand and promotes your brand to its peers. A brand advocate can both be someone who talks favorable about your brand face-to.-face, but in this social media glossary, we talk about individuals who talk about your brand on social media. A brand advocate can be anything from a loyal customer to an employee. Brandjacking means that you take or assume the online identity of another individual in order to acquire that person’s or business’s brand equity. This is similar to identify theft, but not the same as it. This social media glossary word reveals that it has something to do with Twitter, and that is absolutely right. a canoe tweet refers to a Twitter canoe, which is a conversation on Twitter which has been picked up by too many individuals for a civilized conversation to take place. A common Twitter canoe is that two individuals talk to each other on Twitter, and then more and more individuals hop into the conversation – like an overloaded canoe, and eventually the canoe sinks when too many people have joined. A social media caption is a brief explanation that accompanies a social media post, such as an image or a video which helps give the piece of content more context. Instagram posts have captions where you can add texts to your image or video to not only give context, but also to interact with your audience, share your thoughts, and tell your audience a story. A conversation in social media context has the exact same meaning as the word normally has, the only difference is that the conversation takes place on the internet, often on social media. 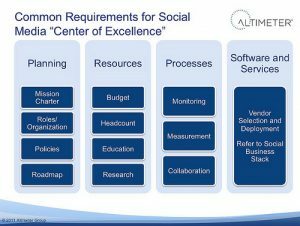 Center of Excellence in social media context is a centralized program which is used by companies in the advanced levels of social business maturity. The Social Media Center of Excellence, also known as CoE provides resources, training, and strategy to businesses that leverage social media for marketing, to help them reduce costs, increase efficiency, and provide standardization. In other words, it is an advanced social media program which helps businesses succeed with their social media marketing. A clickthrough ad is an ad which people can click on, which then redirects them to the website of the advertiser. Click-through ads are the most common form of ads on social media platforms as it helps brands gain more traffic from relevant prospects, and thus get them further down the conversion funnel. A call to action, CTA, is exactly what it sounds like, an order was given, often by brands and marketing campaigns, which is given to the audience get it to take an action, such as visit a website or buy. The word Chatbot is a word in the social media glossary which is almost self-explanatory. A chatbot is a programmed computer, in other words, a bot, that is created to have conversations with individuals on the internet, to simulate human interaction and to provide faster service. Chatbots are mainly used by brands, and is starting to be used more and more by brands on social media to help them streamline their customer service on social media, lower the cost by reducing the need for staff, and dramatically improve the response rates, as the chatbots respond no matter what time of the day it is. A campaign online is a specific and time-bound plan and execution of delivering a particular message around a specific topic or area, carrying a specific goal. Campaigns can have many goals and objectives, including the promoting a particular new collection, raising money, driving sales through a specific plan (campaign) and much more. A chat is a conversation between users (most often two) online, where they talk through text. A chat contains all the previous messages that have been sent from each part – an example is chats in Snapchat, where the messages vanish. The term is explained as “the action of registering one’s presence, typically as a passenger at an airport.”, and that is exactly what a check-in is, and in a social media context, the word retains its meaning, the only difference is that this check-in takes place on social media. This is most common on Facebook, as there is a feature which allows you to check into a location or place you are at to show your pers where you are and what you are doing. The term circles, in a social media glossary context, often refers to Google+ which has a built-in feature by the name of “circles”. This feature allows users to put different people in specific groupings or lists. The feature is created to help people share relevant content with the right people, as well as follow content that people you find interesting have shared. An interesting word in this social media glossary is this. It has increasingly been used in recent years, and what it means is that you, as the word almost reveals, create content in a way that attracts attention and encourages people to visit a particular page. The term clickbait is often used negatively for people and pages that use click baiting tactics with highly clickable headlines, such as “this many found $10 billion in the woods, you won’t believe what he did then”, but then the page you are redirected to doesn’t keep what it promises. For social media, click-through rate is, therefore, the rate of people who see a post, an ad, etc, on social media, and then click on it to follow a hyperlink. The clickthrough rate can be calculated by taking the total reach/views and diving in that with the total link clicks (click-throughs). This is a tricky term in the social media glossary which not a lot of people know about. Essentially, it is the management of a common resource by a community, by the action of the collective in the community, consisting of volunteers and stakeholders. This relates to the type of relationship marketing where a for-profit and a nonprofit partner up, in which the partnership leads to more business for the for-profit, as well as a financial return for the nonprofit. Compliance means acting according to an order, set of rules or request. In other words, compliance is a set of rules created by your company that its employees and itself should follow. Since there are many rules, laws, and other regulations that might be broken when it comes to social media, compliance is created to help brands stay safe, and to ensure that everyone is following the rules. a contact that you know personally or professionally and that has accepted your invitation to connect. Other degrees to other individuals you may know. Channels are the places and platforms on the internet where you distribute your content. Channels, often referred to as social media channels include Facebook, Twitter, and many more. Any type of communication which strengthens the bonds between the members of a community, or leads to a strong sense of engagement among its members. Content curation on social media is the process of going through a large amount of content on social media and selecting the best, most meaningful and relevant content that aligns with your own content strategy, brand personality, and visual theme. You can curate different types of content on social media, for example, user-generated content and content created around a specific theme or topic. The word content discovery is essentially just the process of discovering quality content on social media, but a content discovery network is something a little bit different. A content discovery platform is a software which discovers and recommend appropriate content to you. A contest is a social media campaign which is based on the tactic of giving away things, in social media glossary context, on social media. Unlike giveaways, the word contest in its true meaning means that contestants have to contribute with something and then the winner wins based on their performance, but the term contest and giveaways are often used like they have equal meanings, while in reality, they don’t. Contests are run on social media to gain traction and exposure for the brand, thus drive marketing benefits. A content managing system is an application for computers which helps the creation, as well as modification of digital content. A CMS helps you better manage your social media content, and you can work with the content in a collaborative environment. For most brands, social media is a type of content marketing – at the same time as it is much more than that. Content marketing is a type of marketing which focuses on the creation and sharing of content in an online format, which is text, video, audio, and images. The content is not blatantly focused on promotion, but instead, the content is more about providing value to your audience, which not only allows you to build a large audience, but in turn, you’ll increase the interest in your brand and product, while also building human reciprocity, which is the psychology of having provided someone with so much value that it would almost be rude to say no if you asked them for a favor. This means that you focus on providing a ton of content which provides your audience with value, and then, you ask them to buy something. Since content is the center of social media marketing, it is impossible to do social media marketing without content. Therefore, social media is a natural place for brands to start using content marketing, but also to distribute the content they are creating. A closed group is a private group of individuals on social media where the members have to request permission and gain permission by the page admin in order to access the information and contribute to the group. Content rate is essentially the rate of which you put out content on social media. A conversion in this social media glossary refers to social media marketing. This is the meaning of the word as per Dictionary “the process of changing or causing something to change from one form to another.”, and if you are a bit creative, that is absolutely true when it comes to marketing. Because what a conversion is is when you get a potential custom, a prospect, and a lead, to buy from you. And when they do, they convert. And that’s because they convert from a prospect into a customer., thus changing form from one to another. A cover photo mainly refers to the larger photo at the top of your profile in your Facebook profile. The word cover photo is not only Facebook, though. In fact, there are several other social media platforms which have a similar profile layout where they use a cover photo – the photo which almost works like a background image for your profile. CSR stands for corporate social responsibility and is a business term where corporates take social responsibility in the society and for their actions in order to help create a better world and society. CSR can include work with anything from the environment to helping feed the poor. A creative commons, also known as CC is one among several public copyright licenses which makes it possible to distribute a normally copyrighted work for free. When a creator wants to give people the right to use and share content they have created, a creative commons license is used. Content discovery is the act of identifying trends among content, as well as high-quality content for your very own content strategy. The term creep is defined as ”a detestable person”, and the word creep is a word that’s often used in real-life to describe weird and strange people. It is often discussed that social media creeps have few friends and struggle with relationships, and thus have a lot of time to creep on other people. A creep often knows a ton of information about the individuals they are creeping on, even though they have never met them or know them, just because of the information they get from the person’s social media. Crisis management the process and plan of how businesses are going to deal with emergency situations. A crisis management plan is often always in place for brands on social media, because there are a lot of mistakes and dangers out there which can seriously harm your brand. There is an array of examples of brands that have been struck by social media storms that have caused a lot of damage. By having a plan on how you’re going to manage social media crisis, you can better solve the crises when they appear. The meaning remains the same on social media, the only difference is that the written remark is made on social media. Comments are mainly done on people’s social media posts, and on most social platforms, there is a comment feature. With crowdsourcing, you obtain information into a task/project through enlisting services of a big number of people, normally on the internet. A community manager actively goes out and connect with people from within the online community on social media who are potential customers of the brand the manager is representing. The term dark social was coined by Alexis C. Madrigal and is a word in the social media glossary which refers to the social sharing of content that takes place outside of what can be measured by Web analytics programs. Dark social mainly happens when for example a link is sent through other places than social media, for instance by email, which makes it difficult to measure. With dark social, there’s a risk that brands who measure results on social media are overlooking a huge portion of social sharing. Deflection rate is a word in the social media glossary which refers to the percentage of social media customer service issues, questions, and inquiries which are then transferred to another communications channel, such as email or telephone. Essentially, direct message is just what it sounds like. It is also abbreviated to DM. The word is mainly referring to the features Instagram Direct Message and Twitter Direct message, which are built-in tools on the platforms which allow you to send a private message to a specific person. The word is quite revealing, but what it refers to on social media is content that disappears after a limited time, or directly after it has been opened. A platform that is focused on disappearing content is Snapchat, where if you upload a Story, it will disappear after 24 hours, and if you send a private message to someone, it will disappear after it has been opened. Since more and more people feel like everything you do on social media is stored and never forgotten, there’s an increased demand for disappearing content features. Discover refers to the Discover feature which Snapchat has created. The discover page on Snapchat allows you to stay up-to-date on breaking news, latest events, and much more. From Discover, you can watch Publisher Stories, Shows, or Our Stories. Display advertising, also known as banner advertising, is a form of advertising which promotes a brand and a commercial message using visual content, such as txt, logos, photos, etc. Display advertising can be in the form of billboards, but on social media, it mainly refers to the display ads that are presented on certain social media platforms, such as Facebook. E-discovery is the discovery in legal proceedings, and the ”e” refers to the information being in an electronic format. Embedded media, or embedded file, includes any type of multimedia file that you can insert or embed into your web page. Embedded media can be anything from a social media post, to videos, to photos. If you are accessing social media content from your computer, many of the social media platforms allow you to embed social media content to your web page through simple click. An employee advocate is an employee who supports their brand and their brand’s products on social media. Since employees are working directly with the brand, they often have a lot of insight into it, and thus display themselves as educated within the area, making them more trustworthy – almost like influences. The idea of employee advocacy is that the employee is going to inform, educate and promote on social media, and become a loyal marketing pillar for the brand. Embedding means including a piece of code to a website in order to display a photo or video, while, at the same time it is hosted on another website. If you want to include an Instagram post on your website, for example, there’s an embed feature on the post, that you can click, which gives you the code of that post which you can include on your site. An ebook is a version of a regular book but which comes in an online format and can be read on a computer or other device. Employee amplification is when an employee reshapes the content of their company on social media in order to increase the reach of the brand and amplification the masse. If brands are leveraging their many employees for amplification on social media, they can greatly increase their reach. Also known as PEP, the people empowerment model uses the definition of empowerment to connect research, theory, and practice. The people empowerment model is a multi-dimensional social process which helps people gain control over their lives. No, it doesn’t mean what you think it means. The definition of this social media glossary word is different from its definition in real life. Engagement mainly focuses on the metrics shares, likes, and comments, as these metrics can give a great idea on how engaged the audience of a brand on social media is. The follower count on social media doesn’t tell a lot, but what tells a lot is the engagement a piece of content receives, as it shows how impacted your audience was by a piece of content. Engage has a similar meaning to engagement, with the only difference being that you are the one that interacts with a piece of content someone shared on social media. The word endorsement is defined as ”the action of endorsing someone or something”. In a social media context, an endorsement is just that, but on social media. Most often, we hear the word endorsement on social media when brands partner with social media influencers to have them endorse (promote) their brand and products. Engagement, as we just discussed, measures the comments, shares, and likes you receive on a social media post, but the engagement rate measures the level of engagement that a piece of created content is receiving from an audience. Engagement rate is often used to get an average engagement rate across a particular social media page, not just individual posts. The engagement rate is calculated by taking the total likes, shares, and comments, and dividing that by the total number of followers you have. Extended circles refer to a ”feature” on the social network Google+. When you share something on the platform, you can find an option saying ”share with your extended circles”, and your extended circles on Google+ include individuals who are in “your circles’ circles. Facebook is the largest social networking site in the world with billions of users. Facebook allows you to effortlessly and instantly connect with people from all around the world, as well as share messages, videos, photos, and more with other people on the platform. Fair use is a U.S doctrine which allows the use of material that is protected by the copyright, without the permission of the copyright holder under the condition that it is done for a limited and “transformative”. F4F stands for follow for follow (follow four follow sounds like follow for follow, thus the 4) and is a social media glossary word which is often used when you want someone to follow you on social media, in exchange for you follow them. This is a trick used to build more social media followers. A Facebook fan is an individual who likes a specific Facebook page. When you like a Facebook page, the idea is that you’re going to get updates from that page in your news feed. A Facebook group is a group of people on Facebook created to gather people around a specific topic or interest, where individuals can discuss and share their ideas. Facebook live is a relatively new feature on Facebook where you broadcast a video so your audience can view and engage with it in real-time. Facebook live video has dramatically increased in popularity as it allows you to interact and engage with your audience in real-time and respond to any questions, hear what’s on your audience’s minds and share your ideas and thoughts. Facebook Networks is your affiliations with schools or workplaces on Facebook. For example, in your profile, you can list your previous education, colleges, schools, and jobs. Facebook Notes is a word-processing feature on Facebook. This feature allows you to write full-length posts without having to worry about formatting, pictures, or the length. With Facebook notes, you can publish content that’s too long for your regular Facebook wall. When you create a Facebook Note, links will appear under your profile picture on the left side of your homepage. Facebook ads manager is a tool and an application which allows businesses to set up, run, launch, monitor, and evaluate ads on the platform. Facebook offers, also known as offer ads, is a form of Facebook ads which allows you to create special offers (discounts) and run them as ads on Facebook. With this ad feature, you can create offer ads to encourage people to take action and buy from your store – both your physical store or online. Your offer ads can include up to 5 images. People can save your offer when they see it, and they can interact with it just like a normal post. When they save the offer, they’ll have it in bookmarks so they can go back to it later. They will also be reminded up to 3 times that they have saved the offer. Facebook offers are a popular form of ads on Facebook. Facebook reach is the number of unique individuals who saw your post on Facebook. This gives a deeper tone to the reactions and allows people to better interact with your content. This word in the social media glossary refers to a feature on Twitter that allows you to favorite a post to show the sharer that you, yep, you guessed it right, like their post. Also known as a news feed, a social media feed is a place where updated content is showcased. In news feeds, normally the content that is presented there comes from either people you follow or people you are friends with. A feed is a format which provides users with a constant stream of updated content. There are different types of feeds, which includes Web feeds, RSS feeds, or social media feeds. On the different social media networks, you have a personal feed which is constantly updated with content from people you follow or are friends with. Filter in photography is a a camera accessory with an optical filter to create certain looks of your photo or video. On social media, with Instagram in particular, as it is a photo app, you have a bunch of filters that you can add afterward, rather than using an optical filter when you are taking the photo, in order to give your photo a special effect. Many of the photos uploaded on Instagram, including other platforms are using a filter which helps enhance the image. A group of people who gather and then dispel, without much notice. They do so for a specific reason and uses social media, emails, or text messages. The term flash mob was used much more a couple of years ago but is now being used less and less. First response time, also known as first reply time is the number of minutes that elapses from when a customer sends a message to a brand to when they receive a response. Flickr is a social media network founded in 2005. it is the world’s number one photo sharing and hosting site, mainly devoted to high-quality images. A social media follower is someone who is ”subscribed” to receive updates from your social media account, and have the posts you share to end up in their news feed. Some social media platforms use the ”follower” system, and other platforms use the ”like” or ”friend” system. Followers to following ration is the ratio between the number of accounts you are following to the number of social media followers you have. In general, it is said that you should follow fewer people than you have followers, because of the visual appearance, but this is obviously completely up to you. The word Following in the social media glossary means the number of individuals you are following on social media to receive updates from in your news feed. A forum is a place where individuals meet to discuss ideas, views, and topics. There are a number of social media forums that are created for discussing different topics, and an example of this is groups on Facebook, which can be called a forum. Foursquare is a technology company which uses location intelligence to build meaningful consumer experiences and business solutions. It is a community of more than 50 million people who use Foursquare monthly. A friend on social media is when you add an individual to your friends list on a social media platform. Adding someone as a friend on a social media platform does not necessarily have to mean real-life friendship, but it often does. Or at least ”I know who you are” relationships. When you add someone as a friend n social media, you will receive their updates in your news feed. On Facebook, for example, friending someone means that you get access to their newsfeed and more personal information. Following is very similar to friending, but the difference is that friending someone is mutual. When you friend someone on social media, you send a request that they have to approve. When you follow someone on social media, you are following them, but they don’t have to follow you. Moreover, a person can unfollow you without affectiing the other person’ status, as opposed to unfriending someone, where the relationship gets broken. Friend emojis in the social media glossary refers to emojis located next to the names of your friends on Snapchat which you’ve sent snaps to. Each emoji means something, and back int he days, there was instead a ”best friends” list on Snapchat, which showcased your top 3 friends on the platform. There are a number of different emojis, so figuring out what they mean can be a little tricky. Essentially, the emojis represents the current status of your level of interaction and relationship on the platform. A friendship page (on Facebook) collects posts that you’ve shared with a particular friend on Facebook, such as photos you are both tagged in, replies you’ve made, etc. Rather than having a personal timeline, which you have in your profile, a friendship page is a timeline about two people. Geofilters are filters on Snapchat that are dependent on your geographical location. On Snapchat, you can add a filter related to your location if you have location services and filters enabled. Geofilters are not available all around the world, though. The geofilters at thousands of places around the world. To use a geofilter, just take a snap and then swipe on the screen to see if there are any geofilters in your location. Geotagging means that you add a geographical location to your social media post. For example, if you are in New York and shares a post from there on social media, you can, if you want, add New York as a location tag to show people where you are. Geostickers on Snapchat are ”stickers” that you add to a snap to show where you are or what you are doing. Geostickers are very similar to geofilters. When you send a geosticker, your friends will be able to see where you were when you sent the snap. For example, in New York, there’s a big apple geosticker you can use. Geotargeting is ”the practice of delivering content to a user based on his or her geographic location”. Most often, geotargeting is used for ads on social media, as a business might target a specific audience in a particular area. Targeting people with geotargeting in an ad allows you to generate better advertising results, as the people you reach (and pay to reach) are more relevant to your brand. A giveaway is a social media marketing strategy which is based on the tactic of giving away things for free in order to gain traction and exposure. A GIF is aa ”lossless format for image files that supports both animated and static images.”. Essentially, GIFs are short videos that loop over and over again, often focused on humor. Sometimes written Google plus, and pronounced Google plus, Google + is a social networking platform that is, yep, you guessed it, created by Google. Google wanted to replicate the way people interact offline more closely, compared to how other social media platforms are working. A handle is another social media glossary word for a username. Your social media handle is the username you use on various social media platforms, whether on Instagram chat rooms, Facebook etc. It is on Twitter that the word handle is used the most, as most other platforms just call them usernames. Usernames are in fact often referred to as Twitter handles. A hashtag is a word/phrase with a hash sign before it (#). Hashtags are used to sort content into different topics and areas, to make discovery of content a lot easier. For instance, if I search #shoes on Instagram, I can find a bunch of content about shoes. If you’re using a multiple-word hashtag, there can be no spaces, as the hashtag will then be broken off. In order to share content online, you need a hosting service. Individuals who have their own website uses a host on which the website is ”uploaded and ran on”, but you can also have your own servers. Most commonly is using other’s servers which hosts content. In this social media glossary, we’re talking about social media, and that’s exactly what social media platforms are: hosts. On social media, you can upload content and have it showcased there, thus making them hosts. To show that you like a post and piece of content on a social media platform, you can ”heart” it on certain platforms. Essentially, this translates to liking something, as, for example, when you like something on Instagram you click on a heart symbol. An impression is a metric often used in marketing, and especially in social media marketing. An impression is when an ad is fetched from its source. An impression doesnä’t measure clicks, etc, it just matters the number of people who fetched your post or ad. Note that social media ads aren’t the only things where you measure impressions. In fact, on social media, you can obviously measure the impressions of a regular post as well. This marketing method has proven to be very effective, as when your prospects are ready to buy, they’ll have your brand on top of mind. Social media is, therefore, a form of inbound marketing, as it is greatly focused on putting out content to your audience. Inbound volume is the number of messages a brand receive on a specific social media account within a particular time frame. An influencer is a person that has the ability to influence people’s ideas, actions, and opinions. An influencer has individuals looking up to them and goes to them for advice. Back in the days, the only influencers (apart from friends, family, etc.) were celebrities, but as social media has come along, it has now given everyone the opportunity to build a large and engaged audience, and build their influence using social media, and these are people who are called social media influencers, in social media glossary context. Since virtually everyone has a voice on social media and can build a large audience and a lot of trust, influencer marketing has skyrocketed in popularity. Instagram is a free-to-use photo sharing social media application which allows you to share photos and videos, and edit them, sharing them with your friends. On the app, you can interact with other people, see what they are doing, chat with them and more. These are two slang words and abbreviations for Instagram, the social media photo-sharing app. Instagram Stories, is, as the name suggests, a feature on Instagram. The feature lets you post photos and videos to your profile that are up for 24 hours and then vanishes. The content you share in your story won’t be displayed in your profile feed but is instead accesses by tapping on your profile picture. This feature has lead to more people sharing more behind the scenes, raw and unedited content, as people don’t have to worry about it cluttering their feed. Instagram Direct is a Direct Message feature (as listed previously in the social media glossary) which allows you to send private messages to particular users on Instagram. With Instagram Direct, also known as Instagram Direct Message, or DM, you can send text, videos, and photos. The Instagram homepage is exactly what it sounds like, the home page on Instagram. On the homepage, you’ll find your news feed with content from accounts you follow. Kik is a free messenger app which allows you to send messages in the form of videos, text, photos, and more, to other people using it, which, for most people is their friends. Klout is a mobile app and website which uses social media analytics to rate people’s social influence through their so-called “Klout Score”. A Klout score is an influencer score which is used to rank people based on their online social influence. This social influence is calculated based on a value between 1 and 100. A like feature is a feature which most social media platforms have. If someone has posted a piece of content, you have the ability to ”like” that post to show them that you, yes, you guessed it, liked it. Like-baiting is is a practice on social media, mainly on Facebook which is used to acquire more likes on posts. When like-baiting, you include requests that people are going to like your content. Linkedin endorsement is a feature on LinkedIn which allows you to endorse your connections for a skill they’ve listed on their profile or recommend one they haven’t added. A LinkedIn influencer is not your ordinary social media influencer where you simply build a large and engaged audience and call yourself an influencer. Instead, LinkedIn influencers are selected by LinkedIn specifically and are an invitation-only group of 500+ of the world’s foremost thinkers, leaders, and innovators. These leaders are considered the top influencers in their industries, and as influencers, the discuss various topics they’re specialized in. Some examples of LinkedIn influencers are Richard Branson and Bill Gates so in order to become a LinkedIn influencer, you have to be quite famous and a true leader in your space. Lurkers are individuals on social media who aren’t seen or hear, as they never contribute to the community. Lurkers are solely lurking around and looking what other people are doing and saying. A LinkedIn recommendation is something that has been written by a LinkedIn member that is meant to recognize or commend a connection. With that connection, other people an then read it to see what other people have said about you and your work. Live Stories is part of Instagram’s Stories feature which allows you to broadcast live video to your audience so they can engage and interact with you in real-time. You can also choose to save the video you broadcasted and include it in your story, to make it possible to view for 24 hours after its broadcasting. Live streaming means broadcasting live video or audio in real-time on the internet. More and more social media platforms are incorporating live video on their platforms, as there is an increased interest in it. A live tweet is a tweet (post on Twitter) made to comment about an event at the same time as the event is happening and taking place. Marketing automation is the use of software to automate certain parts of marketing. The most common type of marketing automation is repetitive tasks, such as emails, but marketing automation is also quite popular on social media for marketing, such as leveraging chatbots to take care of the customer service on social media etc. Marketing automation lets you have bots and robots do the work for you, which means you’re saving both time and money, and in some cases, can generate better results and have a better job done. A meme is (normally) a photo shared including a text, most often with the purpose of being funny and entertaining. The word messenger in this social media glossary is mainly focused on Facebook’s very own messaging platform known as Messenger, or Facebook messenger. Facebook Messenger is a free, instant messaging software that allows you to send an array of different types of content. The messaging app was first created by Facebook in 2008 but was then in turn made into a standalone app in 2011. Microblogging is, as the name reveals, a form of blogging, but is a broadcast medium within blogging. Microblogging differs from blogging in the way that the content is normally smaller in both actual and aggregated file size. Microblogs are defined to ”allow users to exchange small elements of content such as short sentences, individual images, or video links”. Sometimes, these posts are called micro-posts. Multi-channel attribution is about determining and identifying which marketing channels drive sales and then based off of that give each channel the proper credit. Microblogging means broadcasting short messages on the web to subscribers and people. Certain types of social media usage is referred to as microblogging, especially Twitter, on which you share short and concise messages to your audience. Microblogging is thus about sharing more bite-size pieces of media. A word in the social media glossary which needs no further explanation. The meaning of the words remains the same, but the act of muting most often refers to your social media notifications. Micro-influencers are exactly like regular influencers, but the only difference is that they have a smaller following. Influencers can be defined as individuals who have built a large audience, and then influences that audience’s actions, thoughts, opinions, and ideas. While regular influencers are considered to have 100K followers and more on a social media platform, Micro-influencers are individuals with less than 100K followers. But in marketing, micro-influencers on social media have shown to be able to generate great marketing results. And the reason is that micro-influencers are normally able to build a more engaged and loyal audience, as micro-influencers come off as more personal, having a small audience of loyal followers which they interact and engage with. Net Neutrality, sometimes shortened to NN, means requiring the internet providers to make the internet equal to everyone and not discriminate content nor users. Net neutrality is about encouraging free usage of the internet without any restrictions on how you can share and access content. Net Promoter Sure is a customer loyal metric which gives a score based on how that customer responds, which is meant to resemble how satisfied they are. If they respond 7 or 8, they are defined as passives. If they respond 6 or lower, they are considered detractors. The term news feed refers to Facebook and the stream of content each account has, which is constantly updated with content that has been shared by people you follow, engaged with by people you follow, or from pages you like. My Eyes Only is a Snapchat feature which allows you to save snaps you choose to a particular private and passcode protected folder which only you can access. Native is a type of discreet, disguised online advertising content where content is used, where the content doesn’t look like a paid ad, and thus comes off as more ”authentic” and blends in with the rest of the content. A notification is a message/update that lets you know something has happened. All social media platforms have notifications, and if you have your notifications turned on, you’ll get notified every time something happens, for instance, someone likes your post, or someone sends you a message. If you don’t want to receive notifications (having notifications activated on all social media platforms can bombard you with messages all the time), you can turn your notifications off, or decide for which actions you should get notifications form. Open media, in social media glossary context, most often refers to various types of content, such as video, audio, text and other media which can be freely shared, without any permits or acceptance from the creators. This is most often done using Creative Commons or GPL licenses. Organic reach on social media is the total number of unique people that you reach organically (without paying for ads or exposure) on a given social media platform when you share a post. Accordingly, paid reach is the number of people you reach through paid advertising with your post. This is normally by using things like Facebook ads to boost the reach of your post, but it can also include other sources, such as paying an influencer to promote your post. Ow.ly is a link-shortening tool which allows you to shorten URLs. The main difference between the different URL link shorteners is that the yen on different letters, such as .ly, .li. The two last letters they end at just tells you where the domain name is registered. Paid reach is the number of people you reach with your post using paid methods. If you, for instance, share a post on Facebook and then pay to boost its reach, you’ll see the statistics of both paid and organic reach. Accordingly, if you’ve used both paid and organic reach, the organic reach is measured by taking the total reach of your post and dividing the organic reach from it. ”Reach” refers to the people who saw your post in their feed. Paid replay is an in-app purchase on Snapchat, also the first in-app purchase ability for the app, which was launched in 2015, which allows users to pay 99 cents to replay three optional snaps they have received. Paid social media is essentially just the practice of paying to have an ad placed on social media to reach more people. The way paid social media works differs between different platforms, but normally, paid social media includes native ads, which means that you share a regular post and then just boost it with a budget and audience targeting of your choosing to gain the post more traction. There are also a number of other different pad social media options, such as Twitter Promoted Tweets, YouTube sponsored videos, sponsored Snapchat lenses, and more. A permalink is the URL address which belongs to a specific piece of content. Permalinks come in handy, as they allow you to reference a specific post on social media, including other places such as blogs, rather than just the whole place where you found it. Most social media platforms have easily accessible permalink if you tap on a social media post’s settings. Phishing is the attempt of acquiring personal and sensitive information on social media and online through fraud, such as passwords, credit card information, and more. Phishing online is most often done to acquire money, but also for identify theft and other crimes. There are a lot of phasing attempts going on on social media and the internet, so be careful, and never give out any sensitive information to anyone, ever. A pined tweet is a tweet of a twitter account which has been pinned (marked to the top) of an Instagram profile in order to showcase it and have people see it. Pinned tweets are great if you want to mediate an important message and not have that important tweet disappear as you share new tweets. Pinning a tweet to the top of your profile ensures that everyone who visits your profile sees the important message. Note that if you pin a tweet, it won’t have any effect on its exposure in people’s timelines. Only when people visit your profile. A platform is a content management system is a place on the web run by a software and that presents content. Users can access content, as well as share content on a platform. Hence the social media applications such as Facebook and Twitter are often referred to as social media platforms. Periscope is an app that is focused on video live streaming, foundedKayvon Beykpour and Joe Bernstein, which allows you to broadcast a livestream, watch other people livestream, and explore people in specific parts of the world who are live steaming. Periscope was acquired by Twitter before the app was launched in 2015. Public profile refers to the state of your profile on social media. With a private profile, people need to request to connect/friend/follow you, and you need to accept them, in order for them to see your content. Pins are links that are shared on Pinterest. A pin is essentially a post on Pinterest which includes an image and in that sense, Pinterest is a social media platform almost solely focused on visual content. Every pin on Pinterest has a picture and a description which you add. When you tap on a pin on Pinterest, you’ll be directed to the original source, meaning that each pin on Pinterest has a link embedded in it. On Pinterest, you can also repine a pin, which means that you reshare that pin to your own profile. This is a social media glossary which is used frequently in advertising context online and on social media. This is an advertising model which means that you only pay when someone clicks on your ad. Google Adwords is an example of a Pay.per-click advertising form. A profile is a personal page belonging to a particular individual or brand on social media. Public media is any type of media which increase civic engagement and improves/supports the public good. Pinterest is a social media platform focused on visual content. It is an app and online inboard where you collect images, as well as get inspired by other people’s images and boards (collections of images around a specific topic). You can create an unlimited amount of boards, and boards allow you to organize your content and have content about specific topics on different boards. You can interact with other users on pointers by liking, commenting, and repining. You can also interact with people why chatting with them in the built-in messaging feature. A pinboard is a collection of pins on Pinterest. Normally, the pins that are in the inboards are focused on one particular thing, niche, or topic. For instance, you can create an airplane inboard, a car inboard, a train pinboard. Or, you can just have a pinboard that includes all types of content. But the idea of pinboards is to help you better organize your pins. You can make your pinboards either public or private. A podcast is an audio file that is uploaded to the internet so other people can listen to it. On most places and apps where podcasts are uploaded, you can subscribe to different podcasts to have them in your ”podcast feed”, and podcasts are normally created in a series form, by specific individuals. A post isn’t essentially a social media update. You can upload a photo, a video, a short text snippet, or any other type of content that is possible to share on the social media platform you’re using, and that is called a post. We all know what this word means, but in social media glossary context, it refers to the state of which your social media profile is on social media platforms where you can change the status of it. On Instagram for instance, you can have your profile public or private. If your profile is set to private, only the people who follow you will be able to view your posts, and in order to follow you, people have to request to follow, and you have to accept or decline. A similar principle goes for Twitter, too. Promoted accounts are a type of ads on Twitter where you can promote your own Twitter account through paid ads, in order to get people to follow your account. If you want to grow your twitter following, this tactic is one of the most effective to grow it, as long as you have the budget for it. Promoted trends is a term in the social media glossary which refers to a type of Twitter ads where advertisers can promote time-, context- and event-sensitive trends to the top of the Trends list on Twitter. Promoted tweets are native Tweets on Twitter which you ”boost” in order to increase its reach and exposure, through Twitter Ads. Promoted tweets look almost exactly like regular tweets but the only difference is that there’s a small “Promoted” badge at it. A protected account refers to your twitter account’s state. A protected account is a ”private” account, where only approved people on Twitter can view your tweets. Moreover, tweets from protected account can’t be retweeted – not even by people who have been approved. This is a procedure for businesses on social media which is created to ensure that each piece of content that the brand shares is error-free, on-time, and on-brand. If you commit mistakes on social media as a brand, it can hit back and it can hit back hard, and therefore, brands ensure that they stay in the clear by having each piece of content that is about to be posted be reviewed by a number of people in a process which is called publishing approval process. A QR code is a unique machine-readable code which can be scanned, and consists of a ton of different black and white squares in different patterns. QR codes are used in a number of areas on social media in order to load various things. Snapchat has its own version of QR code called Snapcode, which is a unique code made up of dots that east Snapchat account has, which allows you to scan a person’s snapcode and add them that way. A quote tweet is a retweet on Twitter where you retweet someone and then add your very own comments and thoughts to that tweet. Reach is a marketing metric, often used in social media marketing to identify the number of people who have been reached by a particular message. Reach can be used in a number of ways on social media, for instance for understanding how many of your total audience that you’ll reach with your posts, or how many people you reached with your promoted social media ad. Reply is the act of replying/responding to a comment made by another user on social media. Reddit is an online forum which has ”subreddits” – threads, on virtually any topic the world. It is an online forum where people can interact, engage, resonate, and discuss. Here, people who are passionate about various topics come to meet other people who share a similar interest and discuss subjects related to it. Subreddit truly has topics about any topic you can think of, and this is also the reason why it has attracted such a huge user base. Regram was the first resort app created to help you repost people’s content directly inside the app with ease, without having to screenshot, download, etc. Now, while regard is an app, the word regram, has together with repost become the two words that are used when you reshape someone’s content on Instagram – no matter if you use the regram app or not. Retargeting is a form of marketing where you target individuals who have previously shown interest in your brand in one way or another, for instance, visited your website. Since these individuals aren’t completely unfamiliar with your brand and have actually shown some kind o interest, these are individuals who are more likely to convert than first-time visits, thus making them tremendously valuable through retargeting. Many social media platforms’ ads tools allow retargeting so you can reach the people who truly matter to your brand and thus generate greater marketing results at a lower cost and a higher ROI. A reason why retargeting is effective is that 2% of web traffic converts. on the first visit, and studies find that you need to see an ad and a product multiple times before you buy. A repin on Pinterest is essentially a reshape, or a repost, where you share someone else’s post to your own profile. Repinning on Pinterest allows you to save a piece of content that you found interesting in a board of yours. To repin, simply hold your cursor over the photo (pin) you’d like to repin and select ”repin”. A status update is most often referring to any type of post with content you share on Facebook, the social media glossary term status update can sometimes be seen being used across a number of different platforms, but the term initially came from Facebook. Scaling in social media glossary content refers to the degree of which a brand leverages social media based on their invested resources and intensity of usage. This includes the wideness of a brand’s social media marketing efforts. Scheduling means planning your social media posts ahead of time, so you know what to post and when to post it. There are a number of scheduling tools which allows you to pre-make and plan social media posts ahead of time, and there are even tools that will do the publishing for you on a given date and time. By scheduling on social media, brands can better plan their social media activity and the content they use to reach their audience. Social media is the online, collective, communications channels online which are dedicated to interaction, content distribution- and consumption, and collaboration. A scope is a broadcasted live video on the live video platform Periscope. Sponsored posts are a form of advertising, available on different social media platforms, which means that you pay to bring more attention and eyeballs to your post by paying to use it as an advertisement. A screenshot is a photo of your phone or computer screen, of exactly how your screen looked on that exact moment. A snap is a video, message, or photo sent on the social media platform Snapchat. Social networking refers to the act of using social media as a networking tool to interact and socialize with other individuals in an online community. Social networking takes place on various social media platforms where people spend time, including Facebook, and Instagram. Sentiment shows the attitude and opinion to something, most often a brand or an individual. By looking at what people are saying and writing on social media, you can extract and define the sentiment of the conversation, whether it is positive, negative, or skeptical. A selfie is a photo taken of yourself, normally taken with the from-facing camera of a smartphone, holding the phone in your hand and taking a photo of your face. A Snapshat story is a compilation of snaps that an individual has shared on Snapchat that are available to watch for 24 hours before they vanish. You can view the story of a snapchat user as many times you want within that period of time unless they delete it earlier. A sentiment analysis in social media context, and in this social media glossary is the process of identifying and categorizing opinions using a computer in order to understand individual’s opinions on a topic. A sentiment analysis is often used by brands on social media to understand the sentiment of the conversations that their audience have about the brand from the comments they make on social media about the brand. By doing a sentiment analysis, brands can get a better understanding of what their customers think about their brand, and how the brand is viewed by the audience. SEO stands for Search engine optimization and means optimizing your website to improve your rankings in search engines to ultimately gain you more exposure and website traffic. A short link is a URL, a link which has been shortened using a link shortening tool. When a piece of content is reposted (restated) from the initial source to a social media user’s profile. Share of voice analyses the number of mentions a brand has on social media, compared to its competitors. Share of voice is thus a metric used by brands to understand how big part of the conversation within their industry or among competitors they own on social media. Share of voice is normally measured in percentage. Social news is just what they sound like, news on social media. Moreover, social news is often talked about together with social news sites, which are social media platforms focused on distributing (or hosting) news and information about recent events. A slide share is a social media platform used to showcase a number of images that include visuals or text as a presentation device to better help convey points and information. SMS is ”a text messaging service component in your telephone which is a communications tool used to send text messages. Social proof is a psychological phenomenon often used by brands in marketing, which leverages the human psychology that when our peers have done something, or say something about it, we tend to trust it more. For instance, if a brand says ”trusted by millions”, the human psychology says that if millions of people have trusted the brand, so should you. Snapcash is money inside the Snapchat app, created in partnership with Square, made to help users on Snapchat exchange money within the Chat feature on Snapchat. If users on Snapchat have linked their credit card to Snapchat, they can send Snapcash to individuals who are in their contact list, under the circumstances that they are eligible to receive Snapcash. Snapchat is a messaging social media app mainly focused on image and visual content. Inside the app, you can send text, videos, visuals, and photos, and interact with your friends on the platform. Snapchat lenses is a feature on Snapchat which allows you to add various animated facemasks/ face filters when holding the camera towards a face. Snapchat filters are a form of augmented reality. Social tells are software and platforms used as tools to streamline and enable a participatory culture. Snapchat trophies are various rewards you unlock on Snapchat after completing different challenges, tasks, activities, and reaching milestones, such as ”sending 1000 snaps”. A Snapcode is a form of QR code on Snapchat. Each user has their own unique snap code, and if you scan someone’s snap code, their profile will come up, and you’ll have the option to add them. This is done to make it easier to add users to the app. A snapstreak is the consecutive number of days you have sent snaps (and they have sent you a snap back) on Snapchat. Your snap streak with a person will be showcased by the fire emoji next to their username, including the number of days you’ve had a streak with them. Snapchat stories are the same as a Story, or a Snapchat story, as mentioned earlier in this social media glossary. The only difference now is that it is in a plural, meaning you share multiple photos or videos to your Snapchat story, which is a collection of snaps that you upload, which is up for 24 hours before they vanish. People can watch the stories of their friends as many times as they want within that period of time unless the person deletes them earlier. Geofilters are another type of Snapchat Filter specific to a certain location and are often also associated with special occasions like an event. Snapchat memories allow you to save Snaps on Snapchat to view and share them later. Snapchat stickers are small visual icons/images which you can add to your snap before you send it – like a sticker. You can access stickers by tapping the page icon in the top right corner of the Snap when you have taken a photo or recorded a video. Social commerce is an online commerce which uses social media for many parts of the process, such as buying and selling of products and services. In other words, a commerce where social media plays a central role in the business. Streaming media is a type of media which you don’t have to download and store permanently in order to consume. With streaming media, you can consume the content online, without having to download it, as the content is hosted and stored on another server. Customer service on social media is increasing as a result of an increased use of social media, and people spending more of their time online there. Social Listening is the process of monitoring what your customers are saying about your brand on social media to understand the sentiment of the conversation, extract key information, identify issues that need solving etc. The word reveals its meaning, and essentially, it is the process of managing your social media presence, which includes everything from content creation, content sharing, social listening, interaction, measuring, and much more. Social media marketing also referred to as SMM is the art of leveraging social media as a marketing tool for marketing benefits, and making social media a part of the marketing strategy. A social media marketing strategy can look differently for different brands, but normally include things like customer interaction, customer service, and campaign creation. Social media monitoring is the process of leveraging social media to monitor and extract key information about your audience and customers in order to better understand them, their behaviors, and how they are using social media, so ultimately, you can target them better in your marketing. Tags consist of keywords that are added to different types of content on social media, such as blog posts, photo or video in order to make it more discoverable, and enable people to find it, most often through searches. Social media ROI, also known as social media return on investment is the measurement of how beneficial social media marketing as a whole, or a particular social media marketing campaign was for your brand. To measure ROI, you take the generated results/money and subtract the invested money/resources. That way, you can see how beneficial social media marketing is for your brand. Spam is irrelevant/ unsolicited messages that are sent over the internet, including social media. Spam is normally sent to a large number of people, for different reasons, mainly being for promotion or phishing purposes. Social selling is the art of leveraging social media to interact with your customers and prospects to engage, build relationships, increase trust, and answer questions, so the brand is there when the customer is ultimately ready to buy. A subreddit is a thread on the forum website Reddit which is focused on a specific topic. On Reddit, there are subreddits about virtually any topic you can think of, where people are discussing and sharing their thoughts. SRP is a software which helps B2C marketers improve and strengthen their relationships with their customers and influencers on social media. A subtweet is a Tweet on Twitter which is referring to a specific user without directly mentioning them. This is normally done for criticising, without having the person see the tweet. A tag is a keyword that you add to your social media post to categorize it and (often) to allow more people to find it, who are interested in that particular topic. The word tag in this social media glossary and on social media also means to mention someone in a post to have them see the post, or when talking about them. Response rate, also known as completion rate or return rate refers to the number (shares) of people who have answered a survey from you, divided by the total number of people you sent the survey to. Response rate is thus the percentage of people who responded to your survey. Response volume is the number of messages that were outbound, which a team, organization, or other social media account sends as responses to customer service issues and questions within a specific period of tie. Real-time marketing means connecting with your online community in real-time, around specific current events, trends, topic, etc. ROI is a term used in marketing, in social media marketing to say theleast, and this is why it is part of this scial meida glossary. ROI is used to measure the total amount made, in money from a marketing investment. The ROI is calculated by taking the invested money generated from a marketing campaign and dividing that by the total cost of the campaign. Measuring an exact ROI from a marketing campaign is difficult, as it can be difficult to know what costs you should include, and which purchases were generated from the marketing campaign. Moreover, an ROI is generally focused on cold-hard cash generated, while there are plenty of marketing benefits of campaigns that are often jneglected n amarketing campaign, such as increased brand-awareness and brand-loyalty – things that leat to long-term benefits, but not short-term. Therefore,t here’s a risk that by calculating the ROI, you won’t see all benefits of a marketing campaign. This is especially true for social media marketing. Rich pins are pins pin pinterest, but ones that add more context about an idea on. The reason is that they include more information on a pin than what you’d normally have. There are four types of Rich Pins: app, product, recipe and article. Rich pins helps make shopping a lot easier, which makes rich pins popular among brands. The term itself is quite revealing. The reason why it’s in the social media glossary is that social media is a tremendous tool for building relationships, and as the name suggests, this obviously has to do with relationships. ROR is a measurement of how much you have gained from developing a relationship with a person. Most often, it is measured in money, but it can also be measured in other ways as well. Measuring the return on relationship is tricky. Not only do you first have to make the first connection, but you also need to engage and interact on a regular basis for the relationship t have any considerable results, but the tricky part is understanding what a relation has resulted in. One of the most effective ways to drive more customers is by building relationships with them, and the reason is that relationships build trust, and if people don’t trust you, they won’t buy from you. In recent years, more and more brands have started realising the immense benefits of using social media as a relationship tool to engage with and build their customer relationships to ultimately make them into loyal customers, fans, and advocates. A retweet is a repost on Twitter where you share a tweet someone else has shared on Twitter to your own page. On Twitter, there’s a special button and feature which allows you to simply click retweet and share a tweet on your page. When you retweet someone’s tweet, it will show in your timeline in the same form as it was from the person who initially shared the tweet. A request can be sent to private profiles on social media in order to gain access to their content. You can also request to become friends with an individual, for example on Facebook, but the outcome is the same. Ann RSS is a system created for the distribution of content from a publisher online to other internet users which stands for really Simple Syndication. RT stands for Retweet and means reposting another person’s Tweet on Twitter. A thread is a number of messages about a particular topic or in a specific conversation/discussion. As more and more people add their comments by either replying or just sharing their thoughts in the conversation, the thread gets longer. Throwback Thursday, also known as TBT, is a tradition that comes back every week on social media, which is focused on sharing a piece of content as a throwback on Thursday. Normally, on social media, you share recent and new content, but if you want to take a trip down memory lane, doing so on Thursday is what most people do, to follow the social media tradition. Timestamp is a word in the social media glossary which relates to the time and date of which a post was shared on social media. Top tweets are the most popular tweets on Twitter related to a specific topic. These tweets are determined by Twitter’s own algorithm which identifies the most popular and engaging tweets on the platform that have been shared most recently. In social media glossary context, this refers to a social media content feed where content is showcased in a chronological order. A tweet is a post shared on Twitter. A Tweet can include images, links, text, and more. A trend is a topic that gains a huge popularity over a period of time on social media. Trends, just like other trends in real life generally have a relatively short lifespan. If something is trending on social media, you can see a lot of people talking about it, and discussing that topic. A topic or thing that is very popular at a time is trending. On social media, it is usually said that things are trending when they receive massive traction and popularity over a certain time. Trends are known to be immensely popular at a time and then die out. Trendjacking is a social media glossary term which refers to the process of capitalizing on an existing trend to bolder a brand in the marketplace. Often known as a social media troll or internet troll, is an individual on the internet whose goal is to upset people, make damage, and spark fights and anger. Trolls often post irrelevant rude, mean, or in any other way unnecessary comments that have no other intention than to damage and hurt. Trolls often find pleasure in provoking responses by deliberating sharing comments that spark arguments. A tweet is a post on Twitter which can include anything from a short text to images. The reason why a post on Twitter is called a Tweet is that Twitter allows for maximum 280 characters in a tweet, making your posts short and snappy, similar to the short chirps you can hear from birds. Triage means responding to inbound messages on social media, and maybe most importantly, prioritizing inbound messages on social media. Initially, this is a term that is used to describe the urgency of patients in order to prioritize the most urgent ones. A microblogging and social media networking site founded in 2007 by David Karp. Tumblr allows users to post multimedia and other content to a short-form blog. On the platform, you can follow other blogs, as well as make our blog private. On November 1st, 2017, Tumblr had 375.4 million blogs. Twitter is a social media platform focused on news and social networking, where users can share short and snappy messages. Initially, users could only share a maximum of 140 characters in a Tweet, but that has now been increased to 280. A post on Twitter is known as a tweet, and on the platform, you can follow other people to hear what they have to say, what content they share, interact with their posts and the users on the platform. Twitterati is frequent Twitter users that have a large number of followers who are using the platform daily and take part in various discussions. A Twitter card is a media-rich Tweet that which includes an embedded rich content including video, photo gallery, page summary, or other content which is outside of the initial message of Tweet. Twitter cards are leveraged on the platform to help tweets stand out from the crowd and to get people to interact with them. When someone links to a website marked up with a simple HTML code, Twitter cards are automatically added. Moments on Twitter are “the best of what’s happening on Twitter in an instant.” On Twitter, you can see a lightning bolt symbol, and if you tap that, you’ll see a list of various news stories, events, and other big announcements that happen ”in the moment”, and has happened recently. In other words, the feature is kind of like a news update feature which allows you to stay updated with the most recent happenings. A TwitterStream is a collection of tweets which are sent by everyone you follow on the platform, but it can also refer to all the tweets in your timeline. We’ve gone through the social media glossary word ”follow”, which means that you subscribe to have people’s content in your feed when they share something, and unfollowing is, therefore, the opposite, meaning you unsubscribe from an account to not have their content in your feed. You can unfollow users on every social media platform where you can follow an account. A URL shortener is a tool which allows you to shorten your URLs. This is especially helpful if you have a super long URL which is clumsy. Using URL shorteners are great for making your links into a more social media friendly format. The shortened links are only a few characters long, and when someone clicks on the link, they’ll get redirected to the initial page the URL links to. With URL shorteners, you can also access valuable information through link tracking, such as total link clicks, and so on. Unfriending in the social media glossary is almost identical to unfollowing, but the only difference is that you remove someone as a friend on social media, as opposed to unfollowing them. When you unfollow them, the other person won’t access your content either, as a ”friend” is mutual, whereas a follow is not. UGC is content that has been generated (created) by users, normally for non-commercial purposes. UGC is also content that has then been shared on social media or showcased somewhere. Normally, UGC content is created by customers about or for a brand. For example, if a customer takes a photo of them using a product and then sharing that photo with the brand of the product, that is a piece of user-generated content. User-generated content has shown to be tremendously effective in marketing as it is a type of content that holds a lot of trusts. Rather than the content has been created by the brand, which everyone knows only want to sell more, the content has been created by a customer without an agenda – a peer. And therefore, consumers often trust UGC more than professionally content. Since social media has now given everyone a voice, more and more people share their experiences with brands. This means that they also share user-generated content, and if the brands just take the time to listen and look on social media, they’ll find a lot of content from their customers which they can leverage in their marketing. URL stands for Uniform Resource Locator and is the location of a page on the World Wide Web. This is a URL (a link) to a web address which is branded for marketing purposes. Vanity URLs replace traditional URLs, normally with shorter URLs that is more related to your brand or what is related to the content. Verified in the social media glossary refers to having been verified as authentic – proving that a particular account is the real deal and not some fake account. A verified account allows the real deal stand out from the rest of the accounts and be easily distinguished. There are a number of social media platforms that have this. The verified accounts on social media platforms are normally large corporates and celebrities. For the vast majority of social media platforms that have this, there is no way to verify your account yourself but it is the platforms that verify accounts. The term is a contraction of video and blog and essentially refers to the act of blogging through video. Rather than writing, like traditional blogging, you update your blog with videos. Viral spread means measuring how quickly a piece of content gains traction and spreads across social media. Viral means exactly what you think it is, only in social media glossary context, the meaning is applied to social media. Viral comes from ”virus”, and refers to something spreading fast and infecting everything around it. on social media, it refers to a piece of content that gains an immense amount of traction and get shared a ton of times all over the world in a short period of time. Simple: The total number of times people have viewed a piece of content you’ve shared on social media – normally on videos. Vlogger is a contraction of two words: video and blogger. Essentially, a vlogger is, therefore, an individual who blogs by creating videos rather than writing. A view is when someone watches a piece of content on your social media – normally videos. Different social media platforms have different ways of measuring a view. YouTube: The Google-owned video network counts a view after a user has watched a video for “around” 30 seconds. Facebook videos automatically play without audio on users’ News Feeds. Views, which are displayed publicly, are triggered when someone watches for at least 3 seconds. The term wall refers to Facebook and the space in an individual’s profile where other users can post things on, such as messages, photos, and other types of content. The feature suggests accounts that you might find interesting and that you, therefore, might want to follow. The accounts aren’t presented at random but are instead selected based on your interests, usage, geographical location, and more. The term webinar in social media context is a contraction of the term web and seminar, hence it is a presentation, lecture, or workshop which is broadcasted and shared online, over the web. Webinars are often broadcasted in real time, but they are often available afterward, as a prerecording. A word cloud is an image created by composing words in a particular text, where the size of the different words (the font) is meant to resemble a word’s frequency or importance. YouTube is a social media platform which is almost solely focused on video content. In fact, on the platform, you can only share videos. YouTube is also the second largest search engine after Google. On the platform, you can find billions and billions of videos about virtually any topic, and you can also comment, like and share videos that have been uploaded, and of course upload your own. You can subscribe to YouTube channels (accounts) on the platform to have their new videos come up on your list of videos (feed). This is similar to following someone on social media.